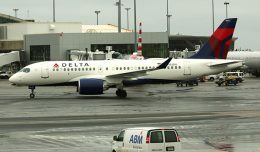 A Delta Air Lines flight made an emergency landing in New York Thursday afternoon when it suffered a bird strike and the cabin filled with smoke, according to passengers. Delta Flight 1063, a Boeing 757-200 carrying 179 people, took off from John F. Kennedy International Airport’s Runway 22R bound for for Los Angeles at around 3:15 pm. Immediately after takeoff, the crew declared an emergency. “Delta 1063 has had an engine failure in the right engine, declaring an emergency due to a bird strike,” said one of the pilots — remarkably calmly — to air traffic controllers. 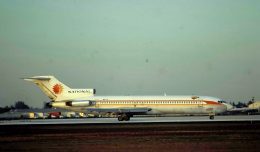 CNN anchor Ali Velshi, who was a passenger on the flight, told NYCAviation in a phone interview that the engine made a “very, very loud grinding noise” for about 30 or 40 seconds. “I fly about three or four times a week, and this was unlike anything I have ever heard on a plane before,” Velshi said. 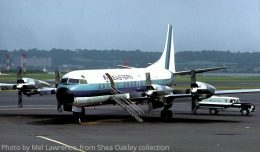 The plane immediately halted its climb at around 1,500 feet, according to air traffic control conversations. 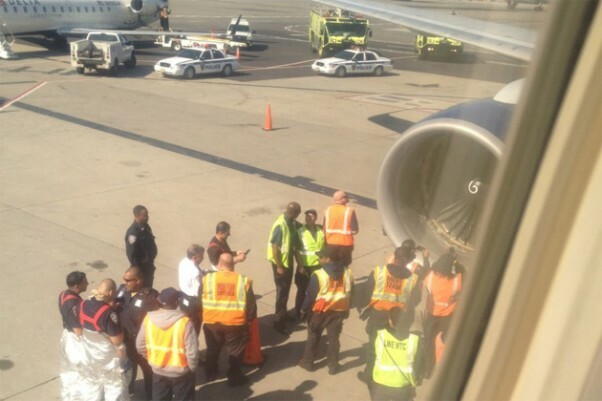 Passengers and flight attendants were also very calm, according to passenger reports. Velshi said by the time the plane landed and taxied to a remote area where fire crews could inspect the engine, they got back to the gate about an hour after they left. Delta was giving the passengers food vouchers and was putting them on another plane with the same flight number scheduled to depart at 7 pm. Velshi had a positive outlook. “I walk away from this not dissatisfied that I’ll be arriving in LA four hours late, but with the satisfaction of knowing that there was a great crew flying the plane” he said. UPDATE: Video shot onboard by passenger Grant Cardone shows birds passing on the right side of the plane, followed by a loud bang. These are the times where they separate the men from the boys! This Delta pilot, as with thousands of his professional airline peers acted cool, calm and in control in the face of emergency. 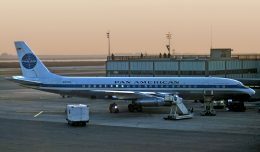 Unlike the commuter pilot in Denver who’s transmissions were so unprofessional it was initially mistaken for a prank call!